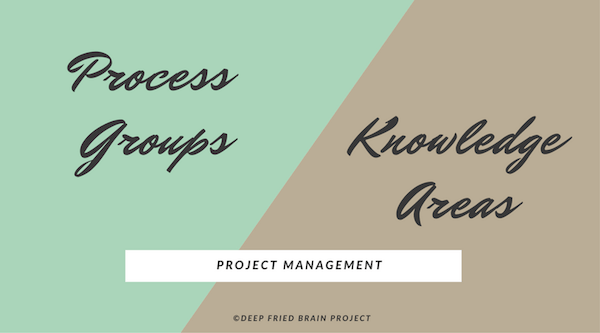 What is the difference between Project Management Process Groups and Knowledge Areas? The answer seemed so obvious, yet when I thought about it, I found it hard to describe in words. So, I went back, did some reading and put my understanding in words. When Project Management processes are grouped logically, they form Process Groups. For example, all the processes required to define a new project or a project phase are grouped into Initiating Process Group. All planning related processes go under Planning Process Group, and so on. The PMBOK Guide requires the use of all five Process Groups in every Project. However, the rigor of implementation of the processes in these Process Groups vary according to the complexity and risk for the specific project. The processes in the Process Groups guide the project manager in application of Project Management knowledge and skills on a project, in order to meet the project objectives. The Process Groups are linked by the output they produce. For instance, the Initiating Process Group provides the Project Charter as input to the Planning Process Group, which in turn provides the Project Management Plan as input to the Executing Process Group. Though the Process Groups appear to be discrete and laid out in a specific order, in practice they overlap and interact in several ways. Most processes are iterative and are repeated during the project. Though the Initiating Process Group begins the project and the Closing Process Group ends the project, the Monitoring and Controlling processes overlaps with processes in all other Process Groups and are carried out throughout the project. As an example of iteration, during the Executing Process Group, there may be a need for re-planning and update to the Project Management Plan. Note that Project Management Process Groups are NOT the same as Project Phases. The PMBOK Guide is very particular about this. For example, in a software project, the Project Phases could be Requirements Analysis, Design, Development, Testing, Release etc. As you can see, these are clearly different from the five Process Groups. When a large project is divided into phases, all five Process Groups would be repeated in each phase. When Project Management processes are grouped by areas of specialization, they form Knowledge Areas. 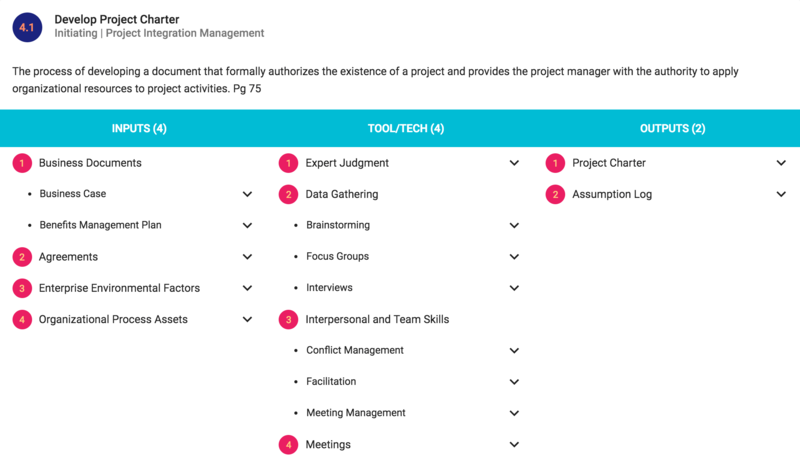 The Knowledge Areas describe what a project manager needs to know, and the Process Groups describe what a project manager needs to do. All together, the PMBOK® Guide, 6th Edition defines 49 Project Mangement Processes, mapped across five Process Groups and ten Knowledge Areas. Click on the figure below to access the Process Groups and Knowledge Areas Mapping via an online ITTO tool. You can download or print the new PMBOK® Guide, 6th Edition based Process Group and Knowledge Area Mapping table by using the buttons on the top right of the embedded PDF file below. I hope you found this post useful. Comments, suggestions, and feedback are welcome as usual. I remember that i also asked the same question to you sometime back.. I would admit that at that time i was feeling a bit hesitant that the question should not be considered inane .. Very timely and Good explanation indeed !! If you have more suggestions for blog posts, do let me know. Excellent Article Harry... Can you throw some light on major differences and occurence of Administrative closure and Contract Closure. PMBOK 4 does not cover these topics. I remember Administrative closure is output of close project, is that true Administrative closure will be part of the Contract closure. Administrative Closure is the same as Close Project or Phase process. 1. There could be multiple contract closures, but only a single project closure (since you could have multiple contracts on a project). 2. Contract closures need to happen before project closure. 3. Procurement audit is done before closing out the contract. great article harry. keep it up. is it necessary to be able to reproduce the table which shows the relation bw knowledge areas and process groups! I am preparing for CAPM. I dont know how many days i need to by heart and be able to reproduce this. The entire Project Management framework is based around these 42 processes. You need to understand all these processes, and if you do that, things will automatically fall in place. You don't really need to memorize them. But if given a process name, you should be able to describe it and identify where it fits into this framework. Really nice one keep it up. Please help,,, I'm doing Project Management Fundamentals... I need assistance. What are the logical differences btwn Project Management and General Management?